How to find, where to live? 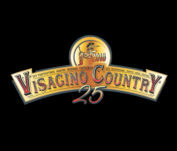 Finally we are announcing full schedule of the events at our 25th anniversary international country music festival VISAGINO COUNTRY 2018. You can find the full schedule under PROGRAM section on our webpage. We are so excited that the festival is only one month away, are you coming?